The eastern section of another 22 degree moon halo. Auriga and Perseus are visible with Algol the 'Demon Star' on the halo itself. 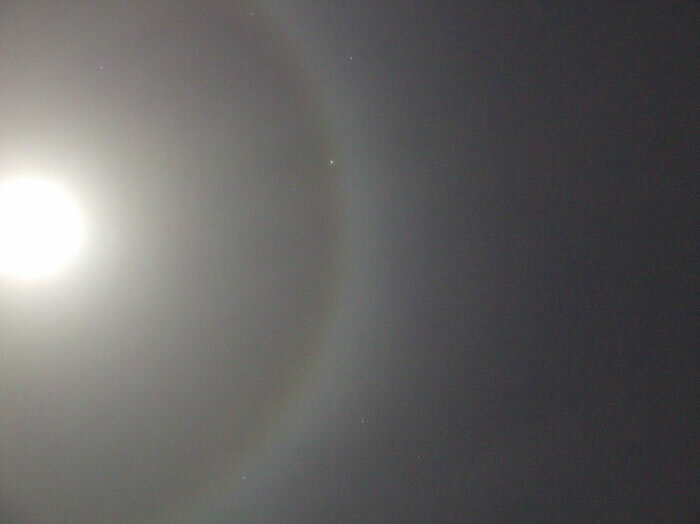 It is amazing just how bright a moon halo can get. If the moon is up where you live and its a hazy/murky night then go outside now and look for one!